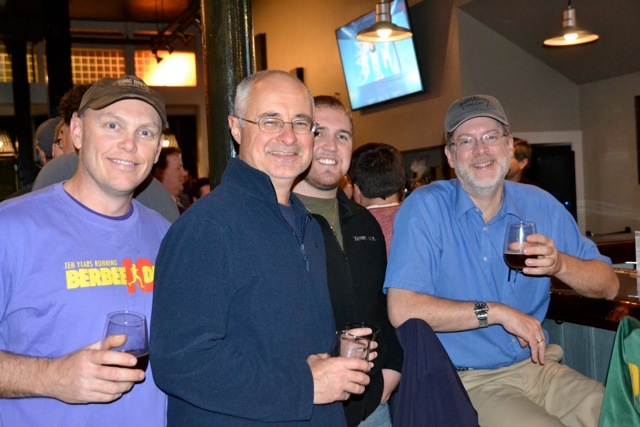 “Thirsty Thursday” rolled around again and many loyal Bob’s-fans came out for Tap Takeover #6, featuring 3 Sheeps Brewing Company, from Sheboygan, WI. The complimentary pint-glass-give-away didn’t last long, as our faithful customers are starting their own Tap Takeover Collections! Everyone enjoyed tasting all six taps, settling on each one’s personal favorite. Mine was Rebel Kent, the amber –which was the first to go dry! I wonder why…..see you at the next event.